The Easter Bunny has come and gone, which means one thing: discounted candy! 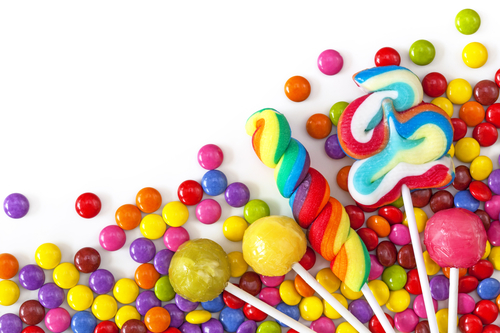 If you’ve got a sweet tooth, you’re in luck, as there are lots of great spots near your Canvas apartment to find candy of all stripes, from gourmet chocolate to bubble gum and everything in between. Now that Easter is behind us, many shops will be slashing prices to get their merchandise out the door, so now is a great time to stock up. With Mother’s Day just around the corner, you can even stock up on some sweet treats for the ladies in your life—or just keep it all for yourself! See’s Candies: This shop will bring you back to the candy stores of your youth! See’s, about 1.5 miles from your Canvas apartment, has been in business since 1921, so it knows a thing or two about the candy business. A large counter full of chocolates lets customers mix and match to make their own box of goodies full of all of their favorites. The chocolate selection is huge: truffles, soft centers, peanut butter patties, buttercreams and much more, and customers are encouraged to try free samples as they make their selections! Lolli & Pops: Located within King of Prussia Mall, about one mile from your Canvas apartment, Lolli & Pops prides itself on being “purveyors of sweetness.” The shop is a great place to find gifts for loved ones with a sweet tooth—not only are its items delicious, but they’re decadently packaged and wrapped, and Lolli & Pops offers the option for customers to personalize their gift with a handwritten note to the recipient. With everything from artisan truffles to multi-colored lollipops that will have you walking back in time to childhood, a visit to Lolli & Pops is definitely a sweet adventure!